Tableau Software, Inc. yesterday announced that it has appointed Adam Selipsky as president and chief executive officer effective September 16. Christian Chabot, Tableau's co-founder and current CEO, will continue to serve as chairman of Tableau's board of directors. Chabot said Selipsky's "experience in making AWS the world's leading cloud platform, his passion for servicing customers at a global scale and his authentic team player attitude make him an extraordinary fit for Tableau." 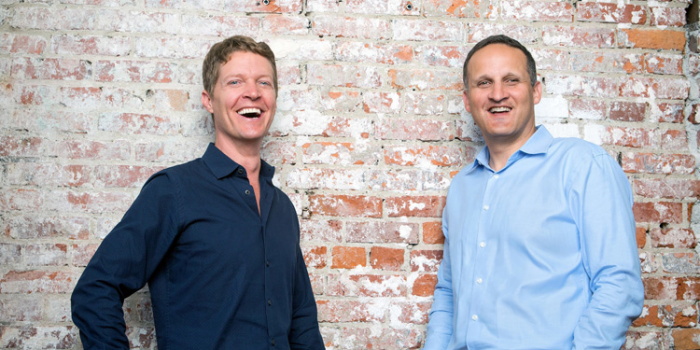 Continued Chabot, "He is the right person to lead Tableau to the next stage of growth." Adam Selipsky has spent over a decade building Amazon Web Services, one of the most successful technology platforms in the world. His leadership helped grow AWS from a startup into a multi-billion dollar business. Currently, Selipsky serves as Vice President of Marketing, Sales and Support for AWS. Prior to joining Amazon, he was an executive at RealNetworks, leading the video subscription and media player division. Before that, he was a Principal at Mercer Management Consulting, a strategy consulting firm. He holds an A.B. in Government and an MBA from Harvard University. "Tableau has that rare combination of a passionate customer base, leading products, amazingly talented people, dedication to technology innovation and momentum in the market. The company is positioned to become the new world standard in analytics," said Selipsky. "I'm honored to join the leadership team and all the great people that have fueled Tableau's disruption of business analytics. As we add capabilities for our customers, deepen our enterprise presence and expand into the cloud, our mission remains unchanged – to help people see and understand their data," said Selipsky. Christian Chabot will remain actively involved in the company as chairman of the board of directors. He will continue to assist the company with long-term strategy and customer evangelism. Chabot served as Tableau's CEO for 14 years and helped grow the company into a technology pioneer with over 46,000 customer accounts. "We're just getting started in our journey," Chabot added, "Tableau has the capability to become the standard for how people work with data, and in doing so to grow into a globally recognized technology brand." Additionally, Tableau is bolstering its technology leadership. Chris Stolte, Tableau's co-founder and Chief Development Officer, will transition to Technical Advisor, and Andrew Beers will take the leadership of the product development team as Chief Development Officer. Francois Ajenstat, one of the company's long-time product leaders, will be elevated to a new position as Chief Product Officer, reporting to Beers. A replay of yesterday's live audio webcast announcement will be available in the Investor Relations section of Tableau's website.